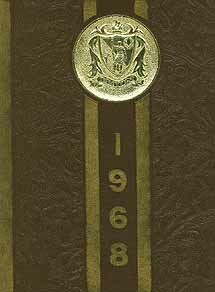 Now everything you wanted to know about the IHS Class of 1968 is at your fingertips....as published in the 1968 Mirror Class History. 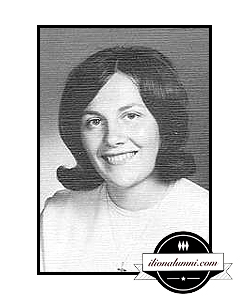 A closed Facebook group named Ilion High School Class of '68 50th Reunion has been created to share information about the 50th Class Reunion. Glenn Smith is the Admin of that Facebook group. The reunion committee is planning a special event for the Class of 1968 in the year 2010 when our members are turning (or HAVE turned) 60!! Our special weekend is planned for Friday, July 16 and Saturday, July 17 in Ilion during "There's No Place Like Home" Ilion Days Weekend. Friday at 6:00 PM is the "DOO DAH" Parade passing by the Ilion Elks. After the parade there will be an informal celebration at the Elks so we can socialize with our classmates. On Saturday from noon until 6:00 PM we are having an informal, private cookout at the Ilion Fish and Game Club (cash bar). There will be fireworks on Saturday evening at dusk at the Remington field near the former North Street school. The dance was open to ALL Ilion alumni and friends. 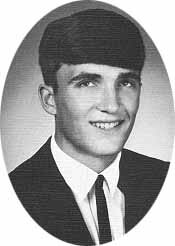 David J. Murphy - Class of 1968, 50, died Friday, January 14, 2000, at Faxton Hospital. He was born Jan. 12, 1950, in Herkimer, the son of Shirley Hailston Murphy and the late John Murphy. He graduated from Ilion High School and Brockport College. He completed graduate work through Utica College. He married Kathy Baker on March 29, 1975. He was employed as a teacher in the New Hartford school system, teaching government and psychology. He was a resident of Ilion. On January 15, 2000, The Observer Dispatch in a front page story featured Dave's courageous battle with cancer, his career as a teacher, his optimism, giving nature, and positive and unforgetable effect on his students, colleagues, relatives and friends. An Assembly was conducted by seniors at New Hartford Central High School, on Friday, January 14 to honor their longtime teacher. The students viewed a video that was created at Christmas. In the video, teachers and students honored their co-worker, teacher and coach. At Thanksgiving, Dave's illness forced him to discontinue his teaching. Prior to his career at the high school, Dave taught at the elementary level. He spent a total of 26 years in the New Hartford school district. he left within each of us." The Murph Award, in memory of David J. Murphy - Class of 1968, was presented during the Class of 2001 IHS Commencement ceremony to Maggie L. McCann. "Hey Everyone, Just thought I'd let you all know that I'm moving back to Ilion from Florida on April 1st '07. I love Florida but I miss my Family and Friends! See you all soon." Lynn Goldberg, email, Forest Hills, NY, sent a link to a picture of himself. "Enjoyed the site and checking out some 'old' classmates. Since I opted to join the Navy and not finish school (but did with GED/NYS Regents), I missed alot. However, 21 years in the Navy was a education in itself, not to mention the longest collage career in history. Hope all are doing well, and that life is treating you good! Love to hear from anyone, no matter who, what, where, when." "Well this is Kinda cool!! I just found out about this site tonight, its great. I'm still playing music for a living and am back in Ilion (since '92) after spending many years on the road. I have three great kids, one of them, my son Joe II 18, is graduating from Ilion High this year, and my two daughters, Regina 21 and Adrienne 14, live in Auburn NY, where I lived for 11 years. I just received a phone call the other night from Linda Pugh Whittemore and Kathy Stark Welch about maybe playing at our 30th reunion. It would be great to play at one for a change because I've missed them all so far because I've had to play elsewhere!!!" "This is a great Website. A nice way to renew old friendships! Thanks to all who contributed. I have worked at Remington the last 26 years in various positions. I also serve as Town Judge in the Town of Litchfield. I'm married to Mary Entwistle (Pat's cousin ) and we have 4 children (2 each). Don't forget its almost party time, 30 years...can you believe it?" Glenn writes...."With a last name like SMITH it's not easy for lost friends to track you down...I have visited the Ilion website and was very impressed. I will pass the information along to Marcia (Savannah, GA), Gail (Boynton Beach, FL), and Maureen (Saratoga Springs, NY), [Smith Sisters] although I don't believe any of them have email addresses at this time....[Glenn, Take a look at the 1975 Home Page!] I have just retired from the Navy (24 years) and have taken a job as the Director of Facilities at Bryn Mawr College, just west of Philadelphia. Since we are in the process of moving to Pennsylvania later this month and may change our home email address, the best email address for me is at my new office: "gsmith@brynmawr.edu" I have registered my new address and phone number (effective the end of this month) in the Alumni Directory. Maybe now I'll hear if the class of '68 is planning a 30th reunion next year." 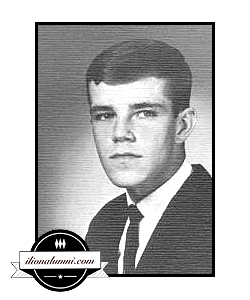 Mike Sparrin is the Official Home Page Class Editor for the Class of 1968!